Q: What do I tell my customers? A: There is no statutory requirement for the Directors to advise their customers that the company has entered into a Company Voluntary Arrangement. However, it may be in the Company’s interest that the Directors are upfront with their customers for the important reason that rumours may spread in the market place that because the company is insolvent it may be about to cease to trade. The Directors can explain to the customers that the CVA will enable them to focus on the service they provide rather than concerning themselves with the company’s financial position. Loyal customers may look to help the company for example by ensuring prompt or early payment for goods and/or services provided. Key trading partners of the business should be aware of what is going on. A controlled approach to key customers will be much more beneficial than allowing them to hear from Creditors who have received the proposals. There is no reason why the Company Voluntary Arrangement will prevent a company from delivering a reliable service. Moreover, it offers the chance for a struggling yet viable company to continue to satisfy its clients. There is therefore no reason why customers would walk away from a company that has chosen the CVA route. Whether the company decides to inform the customers is the prerogative of the Directors. However, it is important to consider the value of honesty when your customers only other sources of information may be your competitors. Q: We are about to sign a new contract with a very important customer – if we propose a CVA what should we do about them? A: Clients will take the view that the new contract is as a result of the quality of the company’s product and or service, but the customer will be checking the company’s ability to fund itself and to be in business some months or even years down the line. Communication and a controlled approach will usually lead to a positive outcome. Your Insolvency Practitioner will be able to give advice. Q: How will the Creditors react? A: Whilst there may fear that Creditors will vote against the proposals, it is often within the best interests of the creditors to work with the Company Voluntary Arrangement process rather than against it. Creditors will ultimately want any debts owed to them to be paid back. More than often, if the business is viable, they will want to continue working with the company. It is important to be honest with the Creditors throughout the process. They will be disappointed but by proposing a CVA you are showing them that you are trying to maximise Creditors’ interests so it can often be viewed positively. Q: A Bailiff or Sheriff has walking possession. If we propose a CVA what should I do about that? A: It is all about communication. The best strategy would be to talk to them asserting that the assets are charged to secured Creditors and that the company is seeking to maximise all Creditors’ interests by proposing a CVA. Payment of their outstanding costs can often remove the pressure whilst not actually paying the petitioning Creditor’s debts. In extreme cases the debt may have to be repaid. If the amount owed is too high then the company may have to enter administration to prevent the legal actions escalating. That’s an expensive step so exhaust all other options first. Q: What about the staff? Generally they will stay. If they walk out they will lose any employment rights and will not receive any redundancy or lieu of notice payments from the company or the Government. They may not be eligible for unemployment/job seekers benefit. It is our opinion that you must involve them when the time is right, because they are the people who are going to help deliver management’s plans. If they have a new job to go to there is little however to be done to stop disgruntled employees leaving. But if the employees can be involved as part of the recovery – perhaps by offering a share package as part of the long term strategy the key employees can often be retained. Q: What if the bank/asset based lender appoints a receiver/administrator? A: Again this is simply not true IF a cogently structured plan and a well, presented approach to the bank are used. Most banks are much more supportive now of “out of court” restructurings like Company Voluntary Agreements because they avoid the usual huge asset meltdown and costs of an administration, for example. Although the CVA cannot affect the rights of the bank or lender, they are stakeholders and should be closely involved in the process. Then approach the bank. The local branch manager must pass the proposal to his debt recovery unit and cannot (usually) affect the outcome of the deal. Remember the bank is (usually) secured, therefore the Company Voluntary Arrangement cannot bind the bank in legally, but conversion of the overdraft into a longer term loan may give the bank more comfort that the company is keen to repay the debts. Talk to a turnaround practitioner used to dealing with banks, such as Antony Batty and Company. Q: Do HMRC require payment of 100p in the £ in order to accept the proposals? A. The amount the company pays back should always be based upon affordability not some arbitrary number. We always work out a 5 year programme with supporting and highly detailed forecasts. Then the result is a better structured longer lasting CVA. HMRC will be happier to support that plan rather than a half baked scheme that takes the total unsecured and tax debt and divides it by 24 months – to get a simple 100% repayment. Under the law there is NO minimum payment or dividend as it is known. The law simply lays out a method for offering a deal to the company’s creditors. HMRC has a duty to consider the deal, and the normal process is for the turnaround practitioner to contact HMRC and inform them that a CVA is being prepared. The collector or debt recovery unit will then pass the file to the central Voluntary Arrangement Service in Worthing. The experts there will consider the document very carefully and vote accordingly. Q. What happens to my Personal Guarantees (PG’s) if we propose a CVA? A. They are guarantees that cannot be removed unless and until the debt is paid off. The longer term repayment to secured creditors should be considered as part of the overall restructuring. Once the debt is cleared there is no reason why PG’s cannot be removed. A CVA will not lead to these being “called in” as long as a careful plan to deal with secured debt is set out to the lender. Again banks don’t want to chase people for PG’s they want to lend to responsible and viable businesses. Q: We have big tax losses – won’t we lose them in a CVA? A: No. they can be used in future providing they are recognised losses. Q: Can the company be protected from an aggressive creditor while we propose the CVA? A. Yes there are two methods: one relies on case law and the other is a formal moratorium. For a full explanation of how the new Acts moratorium process works talk to a turnaround practitioner or an insolvency practitioner. This method is not popular because it places potentially onerous risks on the nominee. Under case law, providing a creditor has less than 25% of the overall debts of the company then they can be required to consider the proposal even when a winding up petition is issued. (Dollar Land Feltham & Ors). A petition may be stayed and adjourned if a carefully structured plan is put together. If required a CVA can be rapidly prepared to show there is a “reasonable prospect” of the CVA being approved, then the Court will usually adjourn a hearing. This is a complex issue beyond the scope of this guide, but feel free to contact us if you have any questions. Q. What if a creditor starts legal actions? A. In 1995 case law was reported that provides a very powerful argument. Re Dollar Land (Feltham) & Ors  BCC 740 reported that the court decided that a winding-up order should be rescinded if there was a real prospect that CVA proposals would be approved by the company’s creditors. In other words let the CVA majority decide. If a petition is already issued before we’re appointed to assist, and a hearing date is due before we can file the CVA meeting notice, we talk to the plaintiff to get them to stop their actions as above, or to prevent the advertisement of the petition. Usually the petitioner is the Crown (HMRC). Most HMRC petitions are stopped or adjourned in this way so we can get on with the CVA production. This is a powerful approach that is built on common sense and a case that said “look is it equitable for one creditor to knock a company down when all the other creditors may agree a CVA”? Obviously not and we’ve defeated petitions in courts across the UK this way. Q. What about Aggressive Petitioners? A. If the petitioner will not withdraw or threatens advertisement the company could use an application to Court to request a hearing adjournment and seek a Validation order from the Court saying that the hearing is adjourned and the company can progress the Company Voluntary Arrangement proposal to filing and creditors meeting. So we believe that by careful discussions and complete honesty with creditors, using powerful case law and common sense we can affect a de facto moratorium that works in virtually every case. 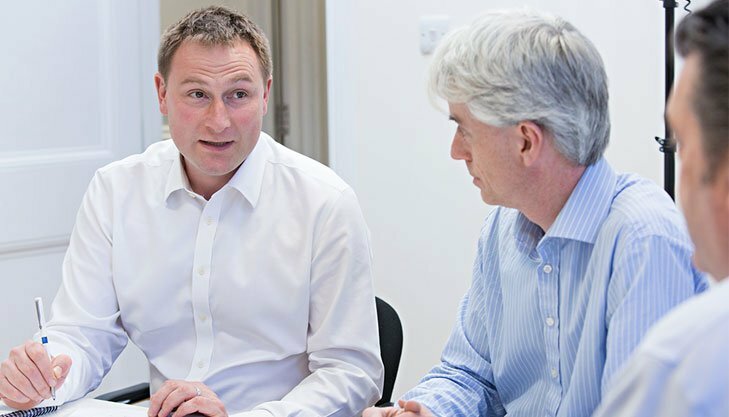 If you believe your company, or one of your clients, would benefit from a Company Voluntary Arrangement, contact us or call us on 0207 831 1234 for a free initial discussion.